At some point during Tuesday night’s game between the Cleveland Cavaliers and Atlanta Hawks, the Cavaliers are expected to welcome back center Tristan Thompson from a calf injury that’s kept him out since Nov. 1. Thompson will come off the bench, with LeBron James explaining during Tuesday’s morning shootaround how the team will blend Thompson back into the lineup. Thompson left that Nov. 1 loss to the Indiana Pacers during the latter stages of the first half with a calf strain and an MRI the following day resulted in a diagnosis which revealed he would likely be out for at least a month. 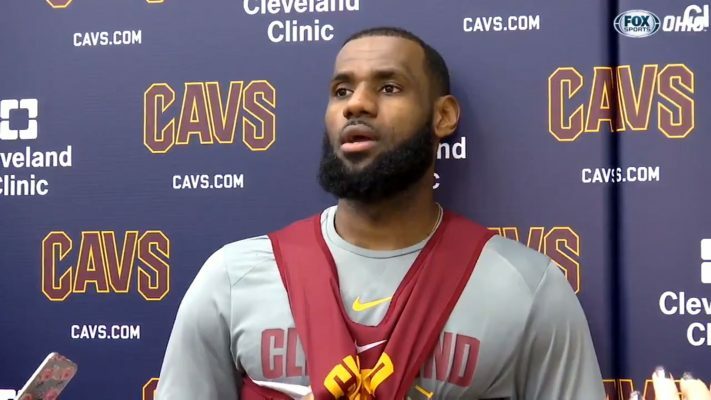 The six-week rehabilitation was undoubtedly a cautious approach taken by the Cavs in order to avoid any recurrence of the issue in the months ahead. At the time of Thompson’s injury, the Cavaliers were in the midst of some early-season struggles, with that Nov. 1 loss giving them a 3-5 record. They would split their first four games without him before embarking on a 13-game winning streak that tied a franchise record. During his 19-game absence, the Cavaliers compiled a record of 16-3.